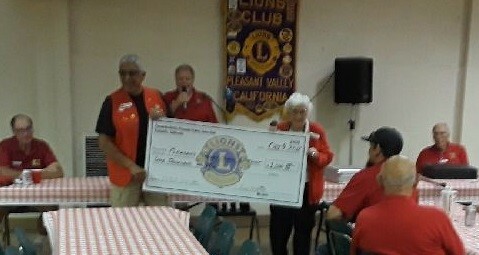 (Camarillo, Ca) The Pleasant Valley Lions Club has donated $1,000 to support the sesquicentennial celebration for the Pleasant Valley School District (PVSD). The event celebrating the district’s 150 years will be held on Saturday, November 10, at the Camarillo Community Center, from 1:30 p.m. to 4 p.m.
“We like to serve the community. We try to donate to causes in the community and we thought this was a worthy issue,” shared Ross White, President of the Pleasant Valley Lions Club. The sesquicentennial celebration is open to the community, and will include a social hour with historical displays, an art show and musical performances by PVSD students, the Ring of Honor recipients, and refreshments. Tickets for the event are available at www.PleasantValleySD.org. 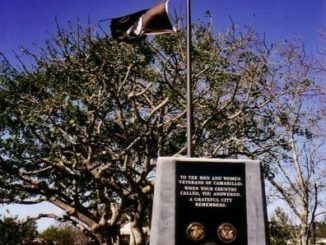 The Pleasant Valley Lions meet on the second and fourth Tuesdays of each month, at 7:00 p.m., in the Freedom Center at Camarillo Airport. The Lions have been providing assistance and monetary contributions in the community since 1945. For more information, please contact PV Lions President Russ White at 482-0147, or russdalew@verizon.net.